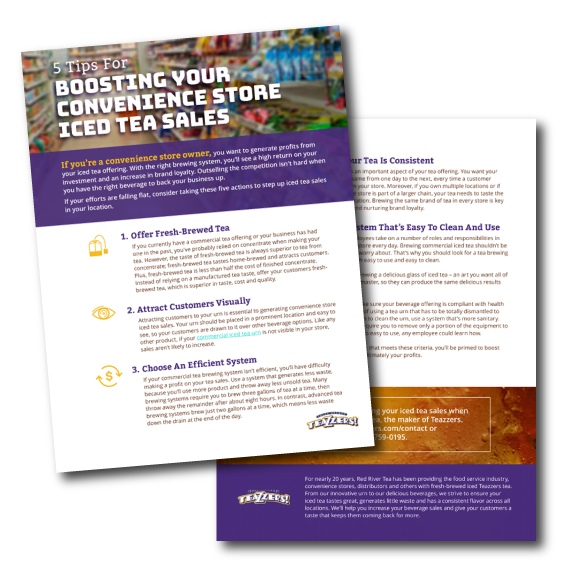 Square 2 delivered a fresh, clean and memorable look for visitors with a new website, helping Red River Tea boost brand loyalty and recognition. Red River Tea is a Texas-based commercial beverage supplier whose most recognizable product is Teazzers tea. Most of its business is commercial iced tea sales throughout the South and Midwest. The company was ready to expand its customer base from a regional to national scale, so it needed to step up its marketing efforts. These efforts had been limited to a website that wasn’t getting the desired traffic, plus trade show attendance. 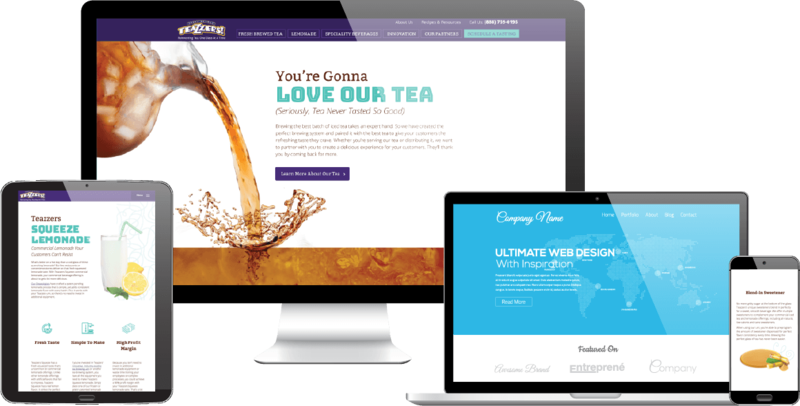 We conveyed the personality of the company’s Teazzers tea on a new home page with bright pops of color and language that is casual and warm. Below the banner copy, mouth-watering tea that is rich in color gives visitors a taste of what they could offer their clients. To keep readers engaged, we chose to cut down the number of website pages and kept the amount of content on each page low. Ultimately, the goal of the website was to provide a fresh, clean and memorable look for visitors. Prior to the launch of its new website, Red River Tea had few visitors to the site. Now, the website averages several hundred visits per month. In fact, website visits are up 336% year-over-year. Plus, the website is attracting and converting leads for Red River Tea at a rate the company has never seen before.